Nage say "One-Point" while raising arm. Uke test. Nage say "One-Point" then raise arm. Uke Test. 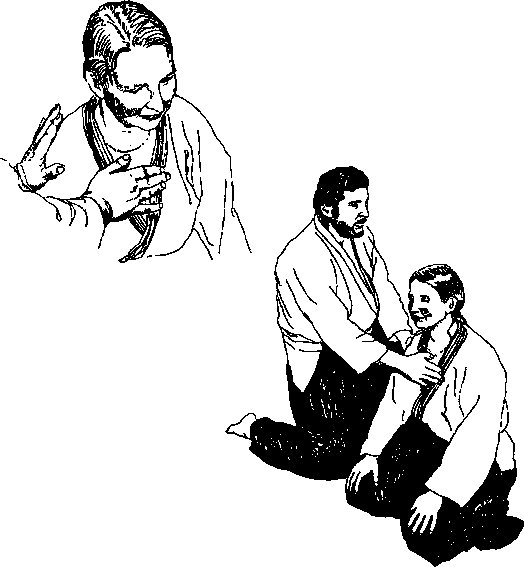 The challenge is to raise the arm while leaving mind at One-Point. 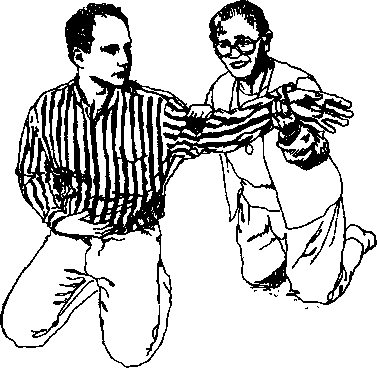 An easy way to do this is to allow the arms to rise on their own as if floating in water. Try something many of us did as children. Relax and step outside the frame. The arms will nse — and be Unbendable as well. 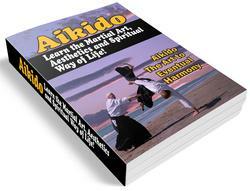 An exercise in absorbing physical energy internally. 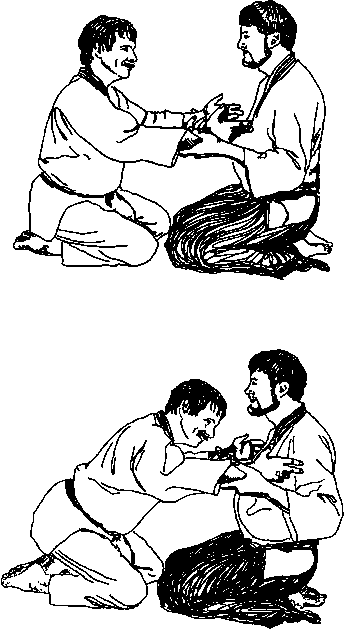 In seiza, 1 Uke pushes nage on front of chest. Uke pushes nage's shoulder from the side. Uke combines the two tests, pushing from the front then adding a gentle push from the side. This is one of the most difficult of the basic ki tests. A helpful image is some version of this: sitting on a swing, a little red wagon, or a platform 011 casters welcoming a push because the harder the push uke gives, the better the ride. Wheee! — but the push is handled internally allowing the Eternal body to remain still.